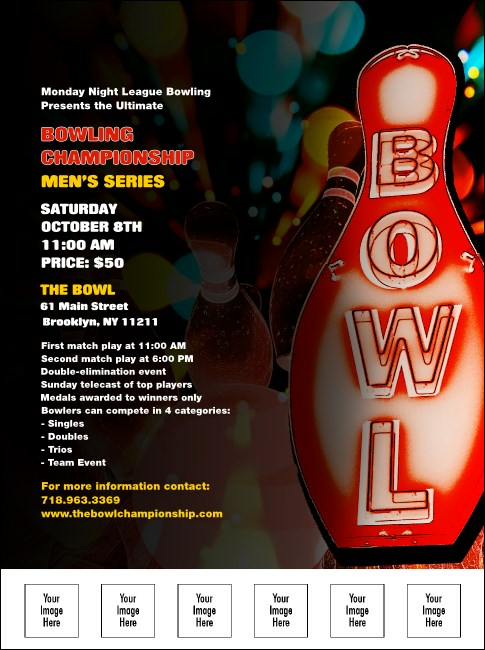 Whether you’re announcing a league championship or planning an outing just for fun the colorful Bowling Flyer gets the ball rolling on event publicity! Decorated in bold colors and featuring a retro design based on an old school bowling sign, this template includes six spaces for your custom images. No gutter balls! TicketPrinting.com helps you line them up and knock them down.